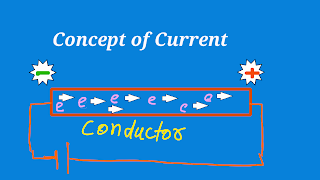 Current (I) : Current can be defined as rate of flowing of charge (Q). 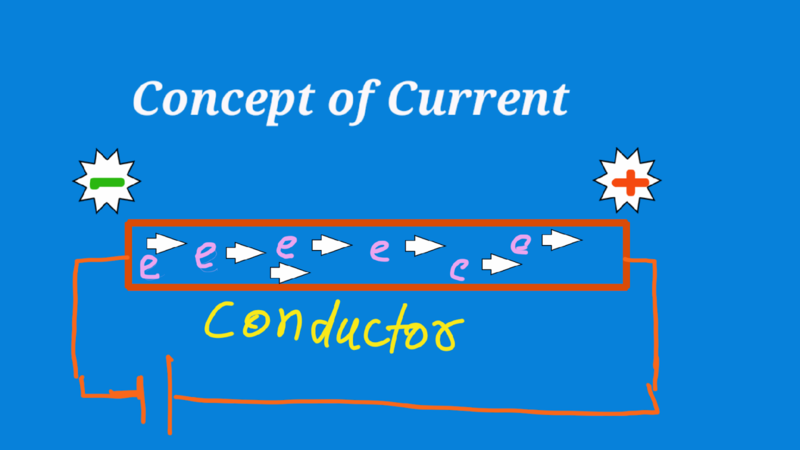 1 Ampere is the charge flowing through a conductor in 1 second. 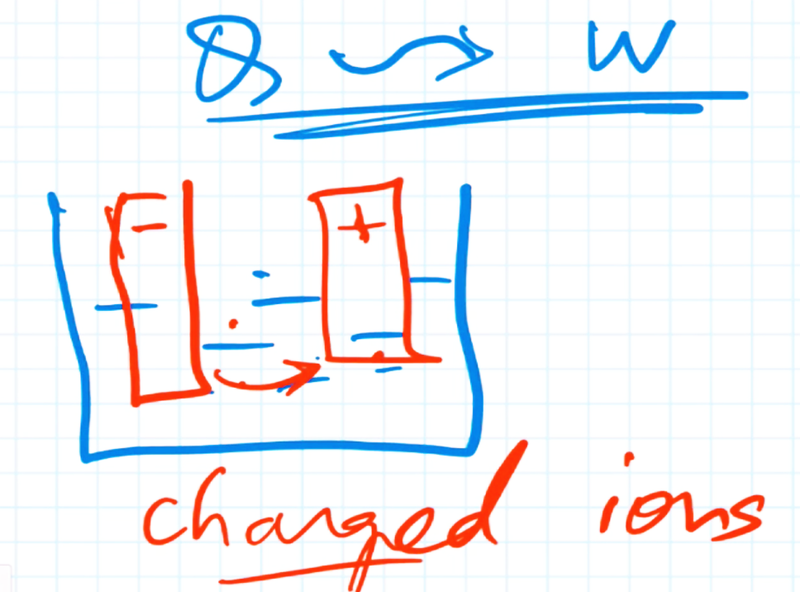 In an ionised electrolyte charged ions flow from one plate to another. 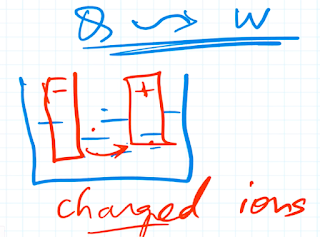 For example negative ions flow from cathode to anode and positive ions flow from anode to cathode.